One of Europe's largest music events, the Sziget Fesztivál, starts next week on Hajógyari (aka Óbudai) Island. With as many as 390,000 (2009 peak) attending the week-long event, it generates an enormous volume of traffic, particularly over the 4-5 kilometres between downtown Budapest and the festival site. 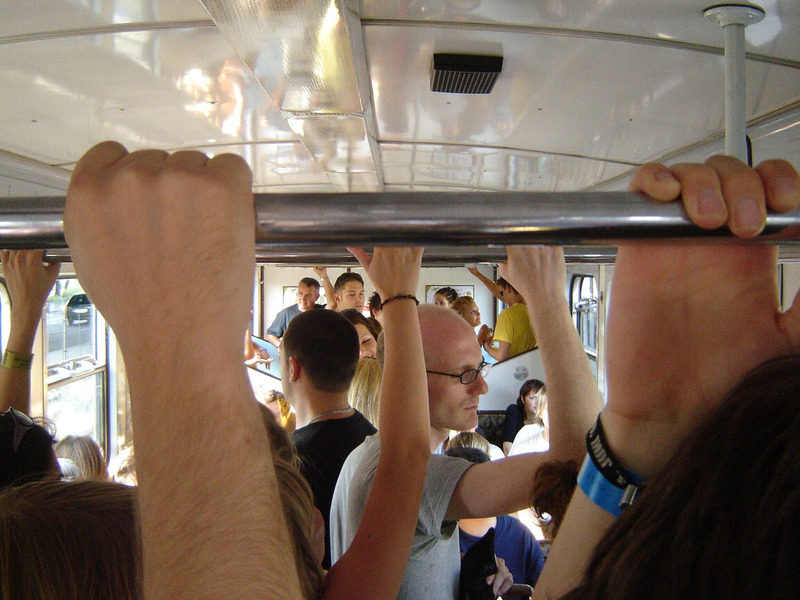 A number of public-transport options exists, including Budapest Transport Company (BKV) charter buses for inbound and outbound campers; passenger ferries on the Danube, and that old standby, the suburban train (HÉV). All these are fantastic ways to get close-up and personal with your fellow Sziget revelers before you arrive at the massive queues at the island entrance. For those who prefer a better ventilated mode of transport, there are bicycles. Designated bike routes on both banks of Danube link downtown with the festival site. And once there, you can take advantage of a free, guarded bike parking lot. Click here for full post at cyclingsolution.blogspot.com. Greg Spencer, an American based in Hungary, commutes by bicycle everyday with his six-year-old boy. He works as a project manager in the Green Transport Topic Area of the Regional Environmental Center for Central and Eastern Europe. 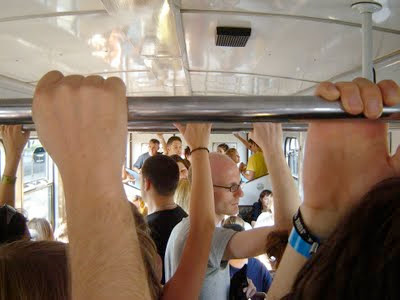 He blogs about the budding bicycling scene in Budapest at http://cyclingsolution.blogspot.com.